A chilly February day couldn’t stop Alexis and Arnie from having the most beautiful ceremony and reception at Belvedere Banquets. 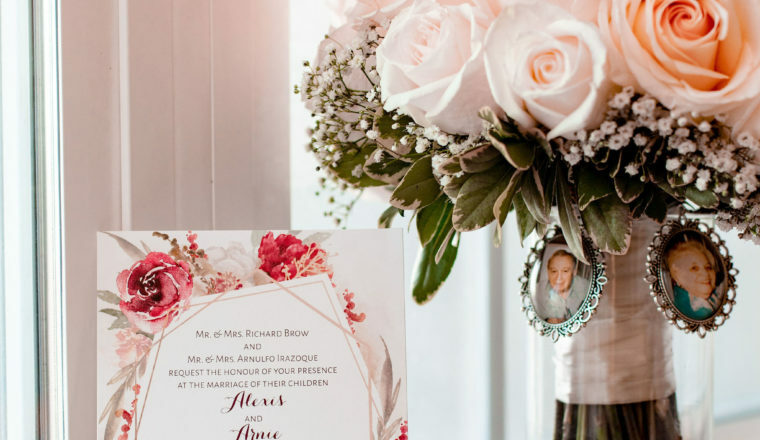 Alexis’ dress was ivory and blush, so having a gorgeous bouquet featuring ivory and blush roses with babies breath was the perfect complement to her stunning dress! The reception featured two types of centerpieces. One centerpiece was a lush wreath with hydrangeas and babies breath with a glass cylinder with a floating candle in the middle. The second centerpiece was a cube with hydrangeas and blush spray roses. Thank you so much to Reel Life Cinema for capturing the day!